Whether you own a home or a business, the sewer line is in the same place: down in the ground, out of sight (and smell). Just where you want it. But this does create a if the pipe develops leaks, decays from corrosion, snaps because of an earth tremor, or becomes blocked by tree roots. How can plumbers fix a pipe buried a few feet down in the ground? The obvious answer: they dig. And for decades this was the standard approach for sewer line repair and replacement. Plumbing contractors used powerful digging equipment to open a trench to access the line. This could mean ripping up a parking lot or shredding a bed of prize-winning rhododendrons. Not a good time for anybody! However, this Big Shovel approach is no longer the only method to repair or replace a damaged sewer line. Our plumbers use trenchless technology in Riverside, CA to do the job with little to no digging. Bad Smells from Drains: What Does It Mean? We know that you want to keep your house a clean, pleasant place. So when unpleasant odors start drifting through the rooms from the drains, you’ll want to do something about it. 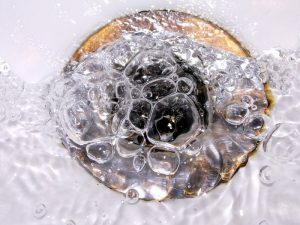 But it’s important to know that these bad smells from the drains can mean something much worse than an uncomfortable living situation: they often point toward significant plumbing issues in your home that require the work of professionals to fix—before they end up far worse and more expensive to repair, or even lead to damaging your house! If you’ve noticed bad smells from your drains, you may need to call on professional plumbers in Pomona, CA. Below are some possible reasons you may have this problem. It could be a simple one you can remedy yourself—or it might be a bigger problem that calls for bringing in our plumbers. Posted in Plumbing | Comments Off on Bad Smells from Drains: What Does It Mean? 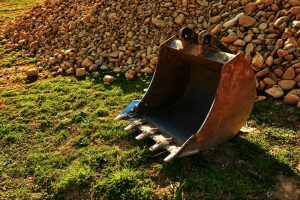 You’ve probably seen this sight before: large pieces of digging equipment parked on the lawn of a house, with a huge ugly ditch dug across the grass, through the garden, or even breaking apart a stone or brick walkway. Around the big orange machines is a scattering a pipe pieces. “Yep,” you think to yourself, “looks like another typical pipe replacement.” You shake your head and feel sorry for the poor folks who have to have this mess over their property in order to have a working sewer line. But what if this happens to you? Shaking your head won’t do in that case. But you don’t have to have this ugly scene on your property. There is an advance in sewer line repair and replacement today that makes it much simpler. This “no-dig” technique is called trenchless technology. Not all plumbers have the equipment or training to do it—but we do! Posted in Drain and Sewer | Comments Off on How Does Trenchless Sewer Line Repair Work? One of the most important services that we provide to homes in Southern California is trenchless sewer line repair and replacement. Trenchless technology is a way to work on buried sewer lines without the need to tear open the property around a house. When most people think about working to repair a sewer line, they’ll envision power digging equipment ripping open a long trench to reach the pipe, making the outside of a home look like an archeological dig for days at a time. Our trenchless technology eliminates this mess and finishes the work in only a fraction of the time—often in mere hours.